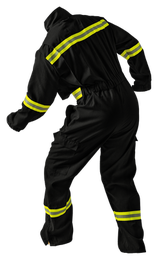 TECGEN® XTREME fabrics are made with a TECGEN® high density fiber blend and para-aramid in a comfortable and durable construction. 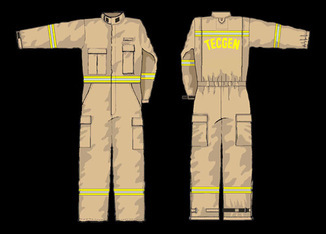 TECGEN® fiber is a patented, inherently flame resistant fiber providing advanced heat and flame protection capabilities. 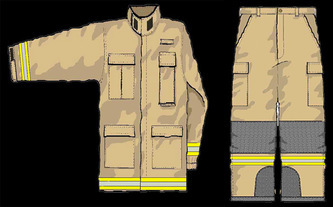 This unique fiber has a high density carbon shell, yet the core is engineered to be flexible, providing increased durability over typical carbon based fibers.This technology allows us to develop fabrics that offer high levels of thermal protection (TPP) and breathability (THL) when typically you have to sacrifice one for the other.